It was Major Nguyen Hong Thanh, team leaders Traffic Police – Police City Tuy Hoa, Vice Chairman of Phu Yen Vovinam. Somebody said that people pursue real passion would one day reap success. Since the 11th grade at Middle School Nguyen Trai (Tuy Hoa City), Nguyen Hong Thanh pupil can stand for hours to see Mr. Nguyen Quy (currently the Chairman of Phu Yen Vovinam) workout. Although the family does not agree, but because too fascinated with martial arts moves so beautiful and realistic, Thanh decided to practice for it. In 1995, Nguyen Hong Thanh exams in secondary schools Police (Ho Chi Minh City). Besides acquiring the knowledge, Phu Yen Country schoolboy hard training martial arts. “Vovinam gives her satisfaction when conquest and discovery, and help her have more income to feed determined to become a soldier of the People’s Police” – Nguyen Hong Thanh recalled the day in the classroom the set point in Thu Duc (Ho Chi Minh City) to raise money to support their family’s living expenses while studying at the Vocational School Police. After leaving school in 1998, Nguyen Hong Thanh to work in the Traffic Police Department – Police of Phu Yen Province. That time, the World Vovinam Phu Yen, Nguyen Hong Thanh names may be seen as a symbol of youth, of the reforms to revive the Vovinam movement was absorbed less capital. Served as head coach of Phu Yen Vovinam team in the period 2002-2006, Nguyen Hong Thanh did not disappoint many people while contributing to team achieved some success on the national arena. His pupils like Le Luyến, Kim Ly, Snow Genes, Kim Loan … earned Phu Yen Vovinam many gold medals, a silver medal at the National Youth Championships, which helped Vovinam Phu Snow Genes Yen has broken precious silver medal at the Sports Congress in 2006 nationwide. However, the biggest mark of Nguyen Hong Thanh with Vovinam is time he attended the University Police Ho Chi Minh City in 2006. Realizing that Vovinam martial suit of police operations personnel People, with the experience and capabilities, Nguyen Hong Thanh has actively put this martial art they are learning in school. The difficulty is inevitable, while in training systems Police University Ho Chi Minh City 2 focuses only Teakwondo and karate martial. 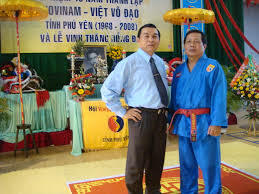 But, with the pursuit tirelessly and with great contributions to the Vovinam movement in school they are attending, in 2008, Nguyen Hong Thanh has convinced management board gave it the subject martial mainstream school and is one of the conditions required to graduate from college. To date, this martial art in schools has attracted more than 4,000 students practicing martial. Also in 2008, Nguyen Hong Thanh became grandmaster Hong longest youngest class of Phu Yen province, as he turns 31.